The looks of classic Citroën 2CV has been recreated on the 2CV Paris, a modern electric tricycle emitting charming vintage style. Like the retro combination? Let’s continue checking. 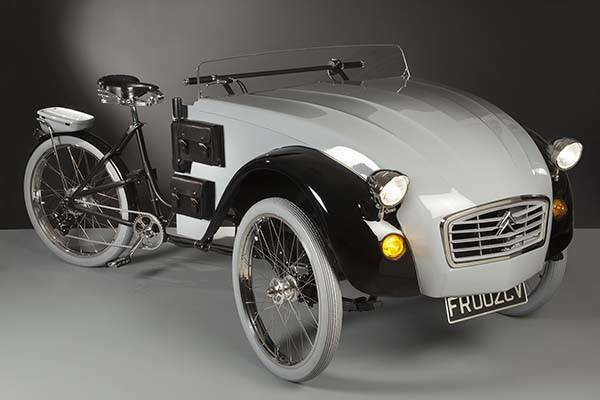 Luca Agnelli, a talented Italian designer created the awesome electric tricycle named 2CV Paris. As its name implies, the unique and eye-catching tricycle was designed to pay tribute to Citroen 2CV, a classic air-cooled front-engine car manufactured in France between 1948 and 1989, so the front part of 2CV Paris resembles the head of Citroen 2CV and shows off many iconic detailing from the vintage car including four headlights, Citroen logo and more. 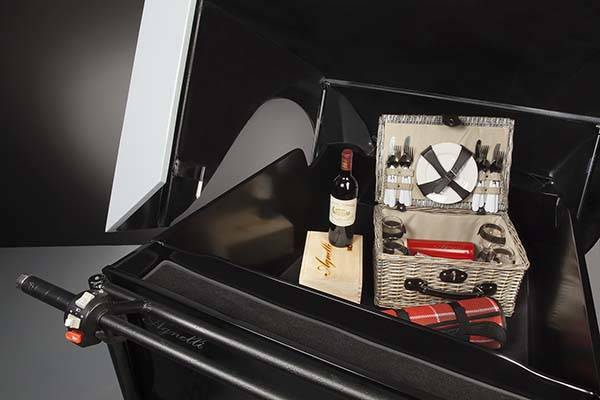 Furthermore, there is a hidden storage space under the hood, which can be used to store your tools, picnic foods and more. The electric tricycle comes equipped a rear 36V 250W motor and 36V 10Ah rechargeable battery pack. Its 6-speed shifter and petal assist let you freely drive the three-wheel 2CV on various terrains. 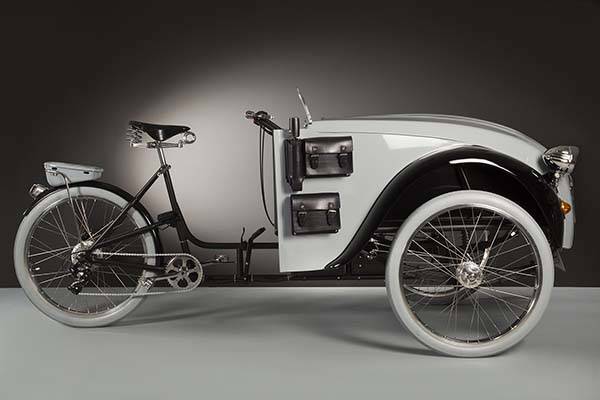 In addition, its smooth saddle and rear metal toolbox add more nostalgic aesthetic elements to the electric tricycle. The LED headlights and taillight keep you easily visible at night for safe riding. It’s a little pity that the 2CV Paris is an unavailable concept prototype. 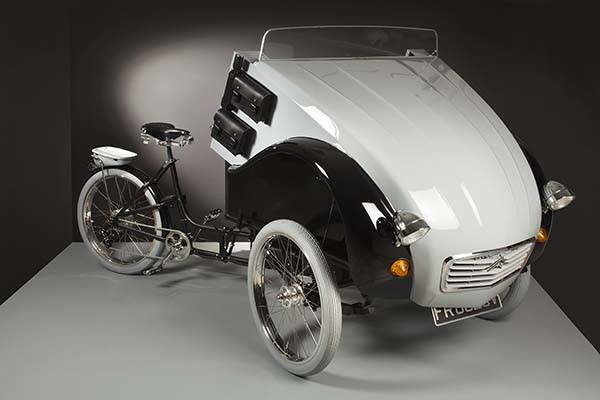 After the break, check out the images about the electric tricycle. If you need a few available options, you may like to check the Liberty electric trike and more cool gadgets by following tags.